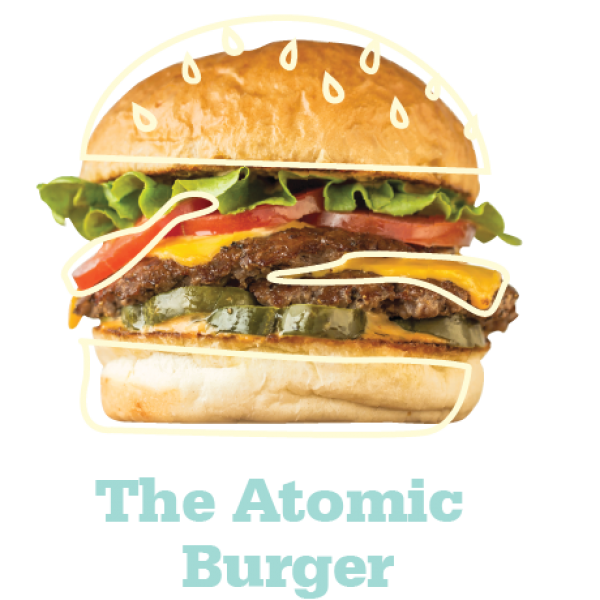 a classic, perfected: freshly-ground beef, american cheese, lettuce, tomatoes, pickles, and our signature A.B. sauce. 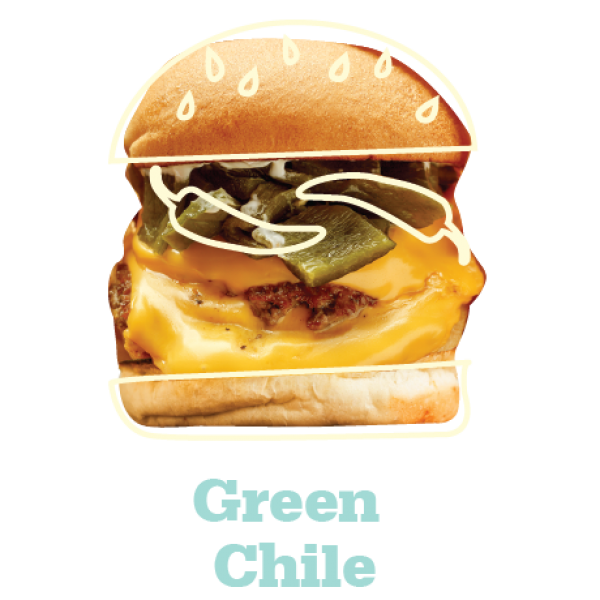 a savory southwestern burger with mayo, american cheese, and house-roasted poblano peppers. 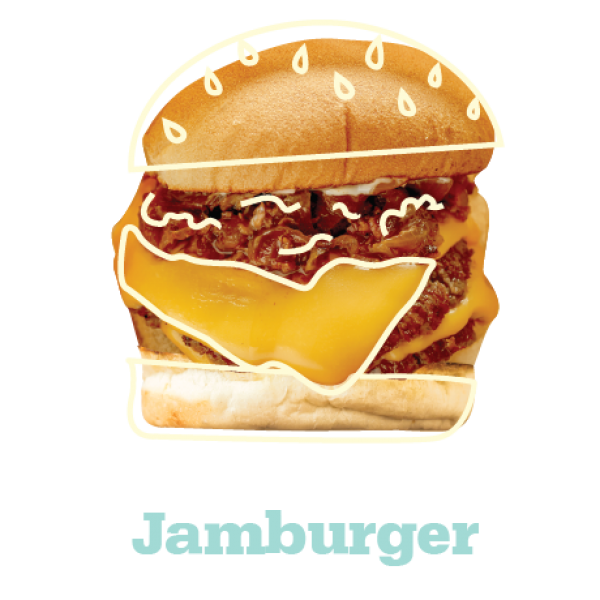 a rich combination of mayo, american cheese, and bacon-onion jam. 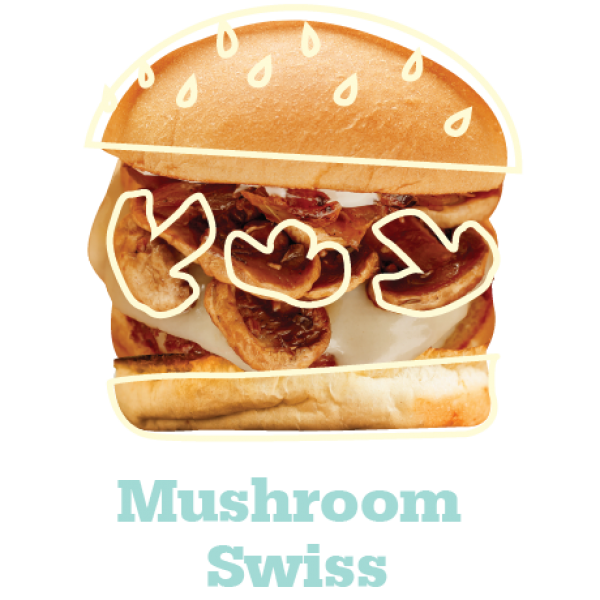 beautifully balanced with caramelized onions, grilled mushrooms, mayo, and swiss cheese. Looking for something leaner? We've got you covered. real potatoes, sliced on-premises and fried to perfection. includes one complimentary fry sauce! an addictive japanese favorite: lightly salted fresh soybean pods. One free fry sauce with every fry order!